John Hulme – Colouring and polishing. 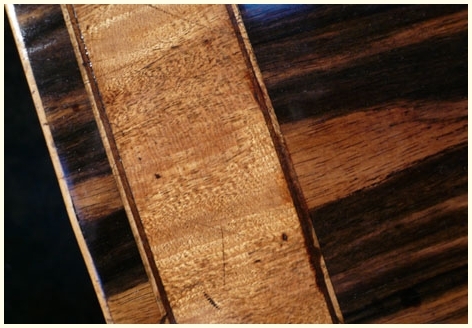 Details of the colour and surface of the wood. This coramandel veneered sofa table had suffered through shrinkage. The thick veneers had lifted and bubbled from the ground so they were carefully removed, cleaned and relaid with animal glue. The next task was to resolve the surface which had been badly damaged by water. Our overriding consideration was to conserve the original colour. With great care, we managed to achieve this. We got great pleasure from rescuing this fine table which can now be enjoyed by the family for many generations to come.